Japanese cosmetics have long ago been considered as some of the best in the world. After all, the Japanese are well known for having pearly white skin, just like their Korean and Chinese cousins. Their secrets are well-kept and much sought after. Now, commercial firms are aiming to capitalize on these ancient secrets. Shiseido Co Ltd, Kao Corp, and Kose Corp – do these names sound familiar? 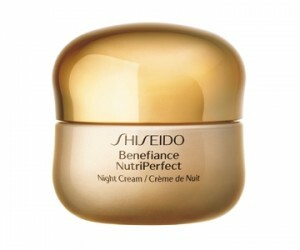 At the very least, you probably recognize Shiseido, as it is a brand that is sold all over the world. These are the three biggest cosmetics company in Japan, and they are banking on really really expensive face creams to boost their businesses. Last year (or this year rather), they all launched their own versions of a face cream that is supposed to battle the effects of aging. Guess how much it costs? How about 120,000 yen ($1,316)? Yup, women have to shell out that much money for each bottle of this cream; women who are 40 years old and above, that is. And this is what the companies are banking on. Their products, they say, are a hit with a certain age range, regardless of the social standing. True enough, their face creams are selling quite well despite the economic problems that the country is facing. They are also targeting women of the same age range from neighboring countries – and it seems to be working well for them. How about you, would you spend that much on a bottle of anti-aging cream?